Imagine waking on an island to the gentle sound of the Indian Ocean and stretching out in your oversized bed, before wandering out to greet friends and family staying in your Guest Villas. After a leisurely dip in one of two private pools, and feasting on an exquisite breakfast prepared by your own personal chef, the day ahead is filled with island adventures. You board a private luxury yacht to spot dolphins leaping in the waves, delight in a picnic lunch on a deserted sandbank, and then dive into the deep blue in search of hidden treasures secreted away on one of the five sunken ships off the island’s shores. Sun-kissed and energised, you return to your private jetty where your barman awaits with your favourite refreshment. After canapés, another swim, perhaps a leisurely spa treatment at your own private spa pavilion, it’s time for a lavish dinner served at your private restaurant overlooking a tranquil lagoon, where the chef prepares succulent dishes using only the freshest ingredients sourced locally or flown in, if you wish. After sunset, some stargazing and sharing stories with friends and family until the early morning hours, it’s time for bed – the close of yetanother unforgettable day in your own private hideaway in the Maldives. 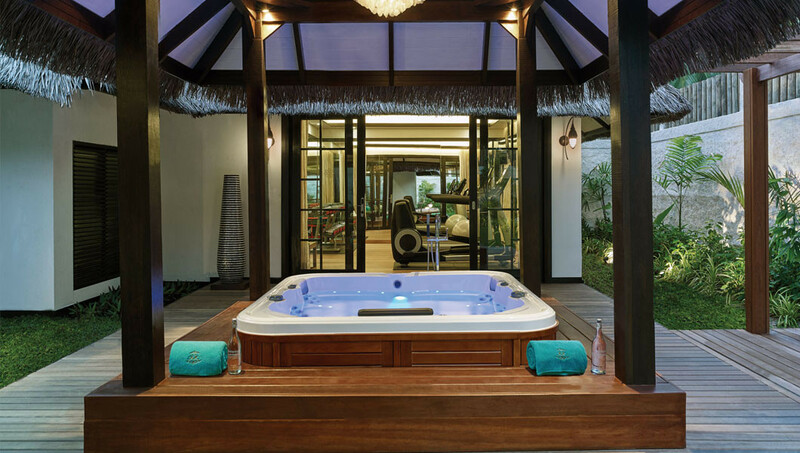 Just a 20-minute boat ride from Malé International Airport, this could be your reality at Jumeirah Vittaveli, a sumptuous island resort spoiling guests with subtle and personalised luxury. 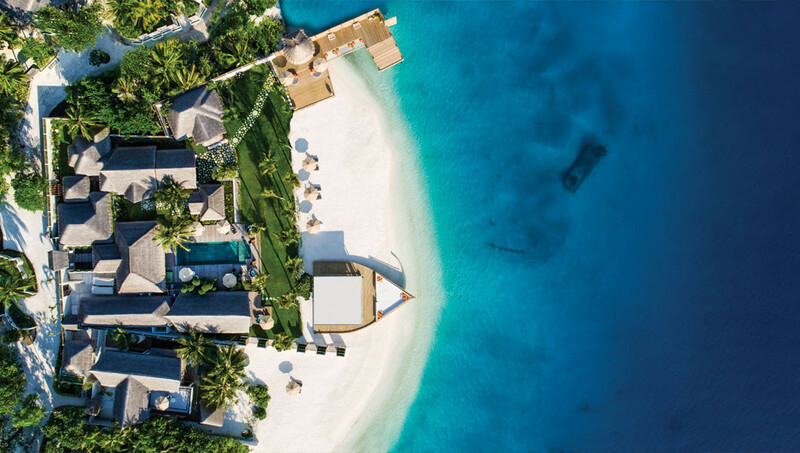 Along with beachside and over-water villas, the lauded Talise Spa, over-water gymnasium, award-winning children’s club and a 5 star PADI dive centre, the island’s newest addition is the sprawling five-bedroom Royal Residence. Set on the southern tip of the island of Vittaveli, and winning the award for “Indian Ocean’s Leading Luxury Hotel Villa 2017” at the 24th World Travel Awards, the Royal Residence is the Maldives’ most spectacular beachfront retreat. Accommodating 14 people with prices from $35,000 per night during high season, the residence is designed for discerning families and groups of friends seeking the ultimate, private playground. One thing is for certain: a stay at this extraordinary cluster of villas is like no other. Extending across 3,500 square metres, there is no need to compromise on space when you can have the luxury of privacy at the Royal Residence, which has three bedrooms as part of the main complex and two further bedrooms as part of a two-storey Guest House. As the host, you can be assured of only the best in the beautifully designed Sanctuary – fitted with a state-of-the-art Bang & Olufsen™ sound system including oversized flat screen televisions and a bathroom with a six-seat Jacuzzi and a deep-soaking marble bathtub. Family and friends are invited to enjoy one of two Guest Villas or the double-storey, 302-square-metre Guest House, while two separate service quarters can accommodate four staff. 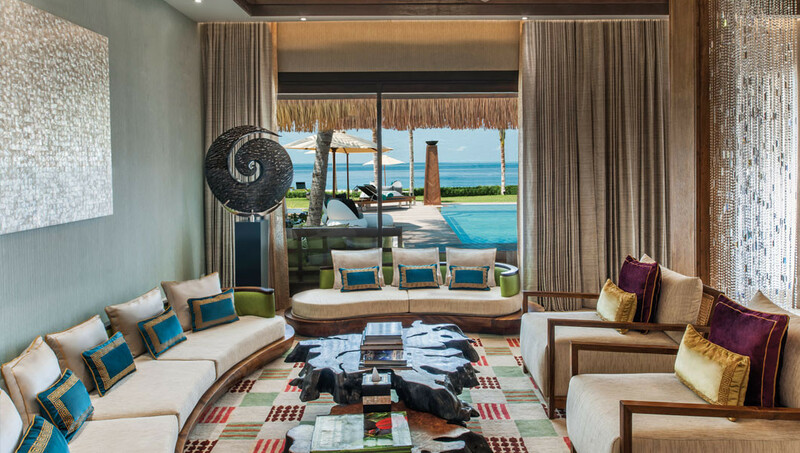 With two private pools overlooking a private beach, and a joint living and dining pavilion that leads out onto the expansive deck wrapped around the designer pool, the beautifully designed interiors even include artworks by Maha al Mazrouei, a gifted Emirati artist who designed four pieces of bespoke art for the residence. As to be expected, dining is nothing short of excellent. Along with a fully stocked professional kitchen by nolte™ and a wine cellar featuring rare wines that are valued at more than US$ 100,000, the residence features its very own dedicated island grill restaurant, which seats 16 and offers live cooking and teppanyaki-style cuisine set atop a Dhoni shaped deck. Depending on the mood of the day, guests can also dine in the opulent dining room or relax in the sunken lounge, which is surrounded by a fragrant lily pond. The residence even has its own overwater bar and sundeck – ideal for ending the day at sunset with champagne and canapés. The residence has its own dedicated chauffeur and private golf buggy on standby for guests to enjoy the many facilities of the resort at their whim, with a 24-hour Resident Butler service, and a personal trainer on demand with a private gymnasium geared up with Life Fitness™ equipment. There’s also a private spa pavilion by Talise where you can enjoy up to three blissful hours of complimentary treatments each day, using 100 per cent pure handmade coconut oil harvested from trees on the island. Bespoke experiences and services make the stay an unrivalled and unparalleled luxury experience where anything is possible, from stargazing with an astronomer to your favourite meal prepared by a Michelin-starred chef flown in for the occasion. Private jet transfers, an international DJ for the weekend – anything your heart desires can be arranged. 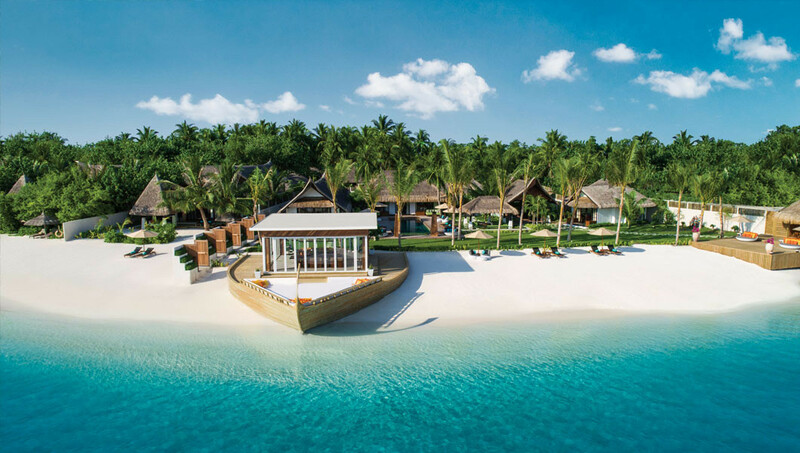 Jumeirah Vittaveli has curated a collection of all of the most remarkable experiences the Maldives has to offer in one place. Shape your own unique Maldives experience here.